Welcome to the website of Metroplex Exit Doors, Inc., where safety, craftsmanship, affordability and excellent customer service are a standard not a benefit! I would like to introduce you to Metroplex Exit Doors, Inc. Metroplex Exit Doors, Inc. was established in 1996 and incorporated in 1998. The key people involved with our organization have over 30 years of combined experience in the hollow metal and store-front door industry. We offer hollow metal doors and frames, aluminum store-front doors and frames, and P-lam wood doors for installation. We also service fire emergency exit hollow metal doors and P-lam wood doors on commercial, hospitals, schools, and industrial buildings. Our door technicians can diagnose, and repair or replace any of your door needs. We extend great service with quality and reliability. Because of our extensive inventory, we are able to service our client within hours notice. We are committed to prompt, reliable service and product availability and firmly believe that building successful, long-term relationships with our customers starts with installing quality hollow metal doors. Hollow metal doors and frames are a part of virtually any construction project. Metroplex Exit Doors, Inc. understands that and knows that you need the highest quality at the best price possible. That is why we deal directly with only the very best hollow metal manufacturers like Republic Doors, to ensure you get a quality product when you need it. Should you require a custom-design door or frame you can also have the peace of mind that our on-site fabrication shop has the ability to handle any project we receive. We can also add louvers, create borrowed and side lites, special hardware preps, and reinforcements and customize the doors and frames to your specifications. At Metroplex Exit Doors, Inc., each one of our doors and frames have been tested in accordance with SDI and NAAMM standards. Fire labels can also be applied in our factory authorized shop. 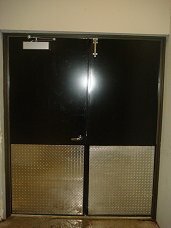 To ensure the best quality, Metroplex Exit Doors, Inc. has an extensive Quality Control Program. In addition to our doors and frames, Metroplex Exit Doors, Inc. also provides a complete line of hardware accessories to provide safety and complete your entry-way packages. From locks to hinges, dead bolts, burglar bars, thresholds, door sweeps, door stops weather stripping and much more, Metroplex Exit Doors, Inc. will provide everything you could possibly need for your hollow metal door project. Utilizing products such as Schlage, Hager, LCN, Yale, Global, Pemko, Bommer, Von Duprin, Norton and Corbin Russwin, our expertly trained technicians will complete your new doors with prompt and professional service, that you deserve. We have expertly trained field technicians who can come to your site and perform any of our hollow metal door services with the quality and promptness you can depend on. 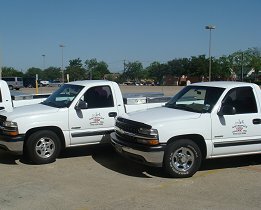 Metroplex Exit Doors, Inc. is also committed to saving you time and money. We can install your hardware on our doors and frames to eliminate unnecessary field labor as well as ensure the proper installation. If you have any questions or would like to schedule a free service call, please feel free to contact Metroplex Exit Doors, Inc. at 972-723-3994 or for your convenience, you may also request services from this site.